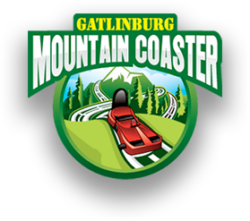 Be the envy of all your friends and followers with an eye-popping story atop the Gatlinburg Mountain Coaster, one of the top Gatlinburg attractions. Experience all the thrills of the coaster on a No-Brakes Night Ride, with the added thrill of our amazing light display. Plus, the view from the top is one of the best in the area, sure to have you snapping away. Bring a friend or sweetheart and experience the fun together. During the day, the Gatlinburg Mountain Coaster appeals to both thrill-seekers and those that enjoy a slower pace. Because the coaster works entirely by gravity, each carriage of one or two people descends by itself without chains or cables to drive it, and includes a handbrake. This allows you to be in complete control of your speed. Leave the brakes alone and plummet to the bottom at speeds of more than 30 miles per hour. Or, apply the handbrake and slow down for a selfie or snap a picture of wildlife in the woods. You will want to make sure your phone is charged as the whole experience will have you snapping away. Take a few shots as you ascend in our uphill lift and get another shot at the top with amazing panoramas of the Smokies and Gatlinburg. On the way down, your car will take you through a beautiful forest with the potential for wildlife spotting or a blanketing of snow, sure to brighten anyone’s feed. 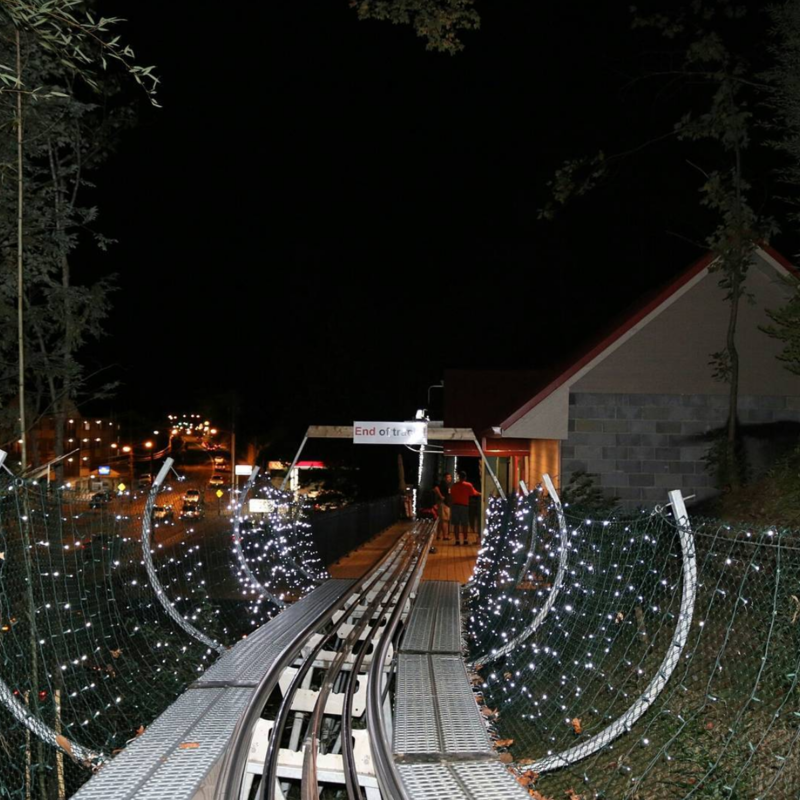 At night, the Gatlinburg Mountain Coaster is transformed into one of the most memorable of Gatlinburg attractions, with the track covered in a tunnel of twinkle lights. Once you descend down the track, you will hurtle downhill through bright tubes of light and into total darkness. No braking is allowed once the lights come on, for an adrenaline-fueled ride you will never forget. Hit ‘record’ on your camera and go live on Facebook or Twitter, with your own soundtrack of screams and laughter. Your friends will definitely remember the Snapchat you sent them while riding the coaster at night! On your way out, make sure to stop by the photo booth as our camera shoots every car as it descends and the pictures are sure to make you laugh. Ride the coaster a second time for half price or purchase a ticket for unlimited rides for one hour or the whole day. We also offer discounted rates for two adults or a parent-child combo, plus you can book online and save a trip to the ticket booth. Book now and grab a few of your friends that are always glued to their phones and enjoy the experience (and the social media posting afterwards) together!